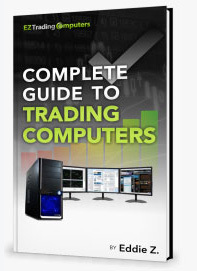 As traders, we spend lots of time on our trading computers. Our computer is how we get stuff done. Features like applications, icons, and short cuts are meant to be custom to how you use your trading computer. In this video I want to explain to you how to make shortcuts on Windows 7 using your Start Menu. This is a very simple tip, but will actually save you a lot of time if you have applications you use frequently. Navigate down to the Start Menu in the lower left corner. Left click on the Start Menu icon. Next, navigate to the program that you want to use frequently. Then go to all programs and left click on all programs. You’ll see all the programs available to you on your computer. Now mouse over to the application that you use frequently. In this case, I’ll use my Internet browser Mozilla Firefox as an example. The next thing that you’ll see in the grey contextual menu is “pin to Start Menu”. Left click on “pin to Start Menu”. Now mouse down to the bottom of the Start Menu and click back. Now you’ll see that Mozilla Firefox is pinned to the Start Menu. Left click on the Mozilla Firefox icon and select unpin from Start Menu. Now that we’ve unpinned it, it no longer appears here. Let’s just use another example so you can see it once more. Go to all programs and left click. Next, I’ll find the application I want. In this case, let’s say that I want to use Tradestation. So I click on Tradestation, at least the folder. Now I see Tradestation 9.1 is located here under the folder. Now I will right-click on the Tradestation application icon and click pin to Start Menu. I am going to click back now and I can see that Tradestation appears at the top of my Start Menu. You can actually customize these a great deal more if you want to. You can hold down your mouse and drag them up or down in the order of the menu. Maybe you want to prioritize your most often used applications at the top and the applications that aren’t used as much at the bottom. So with this tip you’ll be able to save yourself a lot of time from having to navigate through all your programs. The last thing that I would mention is if you don’t want to have some of these default applications appear in the second half or the lower half of the Start Menu you can just unpin them using the same routine.